RICHARD GRANOFSKY is a veteran trial lawyer who regularly handles professional liability, labor and employment, municipal liability, personal injury, insurance coverage, and business litigation. Richard heads the firm's Professional Liability Practice Group and the Labor & Employment Practice Group. He is currently the Chair of the Professional Liability Practice Group of ALFA International, an association of 145 law firms worldwide. Richard regularly handles the defense of lawyers, accountants, directors and officers, insurance agents and brokers, real estate brokers, managers and title agents, elevator inspectors, and miscellaneous professional liability claims. His defense of professionals has included cases arising from complex securities class action litigation, RICO, the FDPCA, commercial litigation and transactional disputes. He frequently defends practitioners sued for their handling of negligence, real estate, matrimonial, and business matters. 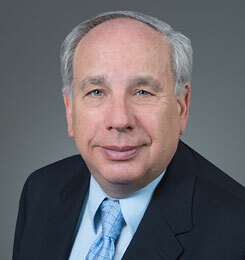 Richard specializes in the representation of employers in employment practice liability lawsuits in federal and state court, and administrative proceedings before the EEOC, the New York State Division of Human Rights, the New York City Commission on Human Rights, and the New Jersey Division on Civil Rights. He regularly defends and tries personal injury cases in New York and New Jersey. Richard has substantial experience in insurance coverage matters, business litigation, claims for intentional interference with contract, class actions and Civil Rights claims. Richard has published several articles on professional liability and employment issues, and edited an ABA newsletter on professional liability. He has spoken on ethics at PLUS and ALFA, and lectured on trial practice at the New York State Bar Association.